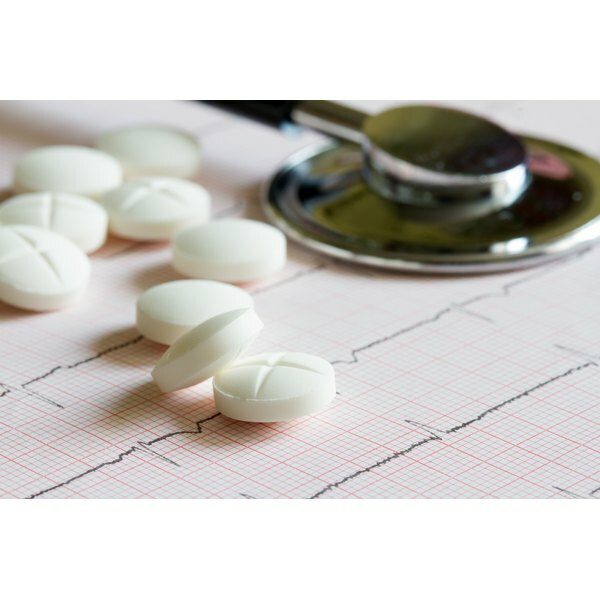 A Food and Drug Administration (FDA) report says there may be a link between the drugs omeprazole and esomeprazole--the active ingredients in Prilosec and Prilosec OTC--and increased risk of heart problems. Although they say further studies need to be completed, they reviewed the safety data and are recommending that doctors continue to prescribe them. It's easy to dismiss a skin rash, but don't. Prilosec can have many side effects you should watch out for. One is the skin rash, including peeling, blistering and redness, which can even happen inside your mouth. You may also experience urinary tract problems such as blood or difficulty passing urine, and dark yellow or brown colored urine, which can be a sign of liver problems. Some experience chest pain or shortness of breath or bleeding problems. You may develop cold symptoms such as fever or sore throat. Another side effect that may indicate Prilosec-related liver problems is the yellowing of your skin or the whites of your eyes. If you notice any of these, see your doctor right away. Some prescription medicines, such as those for treating yeast infections and certain antibiotics, interact with Prilosec. It is important to tell your doctor what you are taking before starting your Prilosec therapy. Prilosec OTC, even though it's sold over-the-counter, is a powerful drug. Most doctors want to know everything you are taking, including herbal supplements, vitamins and any other over-the-counter medication. Anything, even a multi-vitamin, can cause nasty side effects. Tell your doctor if you experience any change in digestive habits. The first thing a doctor is going to prescribe for someone fighting chronic acid indigestion is dietary changes. These changes include cutting the caffeine and smoking, both of which can make acid reflux disease, or ARD worse. Certain foods, especially fried foods, drugs and alcohol can affect the way Prilosec works. Making these dietary changes, although initially difficult, will change your life and may enable you to quit taking medicines like Prilosec. Although Prilosec is generally well tolerated by most people, there are people with certain conditions that should not take Prilosec. People with heart or liver problems and women who are pregnant, may become pregnant or are nursing should talk to their doctor about the risks and benefits before going on Prilosec therapy. Prilosec may be prescribed for certain bowel disorders, but should be taken exactly as your doctor recommends. Prilosec is not for the immediate relief of heartburn and a regimen should be followed to get the most benefit.